Study – Mechanisms of aluminum adjuvant toxicity and autoimmunity in pediatric populations. Study – Etiology of autism spectrum disorders: Genes, environment, or both? Thus far, most of the research on both neurodevelopmental and neurodegenerative disorders has been focused on finding the presumed underlying genetic causes, while much less emphasis has been put on potential environmental factors. While some forms of autism are clearly genetic, the fact remains that heritability factors cannot adequately explain all reported cases nor their drastic increase over the last few decades. In particular, studies on twins have now shown that common environmental factors account for 55% of their risk for developing autism while genetic susceptibility explains only 37% of cases. Because the prenatal environment and early postnatal environment are shared between twins and because overt symptoms of autism emerge around the end of the first year of life, it is likely that at least some of the environmental factors contributing to the risk of autism exert their deleterious neurodevelopmental effect during this early period of life. Indeed, evidence has now emerged showing that autism may in part result from early-life immune insults induced by environmental xenobiotics. One of the most common xenobiotic with immuno-stimulating as well as neurotoxic properties to which infants under two years of age are routinely exposed worldwide is the aluminum (Al) vaccine adjuvant. In this review we discuss the mechanisms by which Al can induce adverse neurological and immunological effects and how these may provide important clues of Al’s putative role in autism. Because of the tight connection between the development of the immune and the central nervous system, the possibility that immune-overstimulation in early infancy via vaccinations may play a role in neurobehavioural disorders needs to be carefully considered. There is now sufficient evidence from both human and animal studies showing that cumulative exposure to aluminium adjuvants is not as benign as previously assumed. Given that vaccines are the only medical intervention that we attempt to deliver to every living human on earth and that by far the largest target population for vaccination are healthy children, a better appreciation and understanding of vaccine adjuvant risks appears warranted. Study – Thiol-modulated mechanisms of the cytotoxicity of thimerosal and inhibition of DNA topoisomerase II alpha. Wu X1, Liang H, O’Hara KA, Yalowich JC, Hasinoff BB. Faculty of Pharmacy, University of Manitoba, 50 Sifton Road, Winnipeg, Manitoba, R3T 2N2, Canada. Thimerosal is an organic mercury compound that is widely used as a preservative in vaccines and other solution formulations. The use of thimerosal has caused concern about its ability to cause neurological abnormalities due to mercury accumulation during a normal schedule of childhood vaccinations. While the chemistry and the biological effects of methylmercury have been well-studied, those of thimerosal have not. Thimerosal reacted rapidly with cysteine, GSH, human serum albumin, and single-stranded DNA to form ethylmercury adducts that were detectable by mass spectrometry. These results indicated that thimerosal would be quickly metabolized in vivo because of its reactions with protein and nonprotein thiols. Thimerosal also potently inhibited the decatenation activity of DNA topoisomerase II alpha, likely through reaction with critical free cysteine thiol groups. Thimerosal, however, did not act as a topoisomerase II poison and the lack of cross-resistance with a K562 cell line with a decreased level of topoisomerase II alpha (K/VP.5 cells) suggested that inhibition of topoisomerase II alpha was not a significant mechanism for the inhibition of cell growth. Depletion of intracellular GSH with buthionine sulfoximine treatment greatly increased the K562 cell growth inhibitory effects of thimerosal, which showed that intracellular glutathione had a major role in protecting cells from thimerosal. Pretreatment of thimerosal with glutathione did not, however, change its K562 cell growth inhibitory effects, a result consistent with the rapid exchange of the ethylmercury adduct among various thiol-containing cellular reactants. Thimerosal-induced single and double strand breaks in K562 cells were consistent with a rapid induction of apoptosis. In conclusion, these studies have elucidated some of the chemistry and biological activities of the interaction of thimerosal with topoisomerase II alpha and protein and nonprotein thiols and with DNA. Linda speaks about her children’s reactions to vaccinations, the troubles with school officials and medical professionals. Study – Aluminum vaccine adjuvants: are they safe? Aluminum is an experimentally demonstrated neurotoxin and the most commonly used vaccine adjuvant. 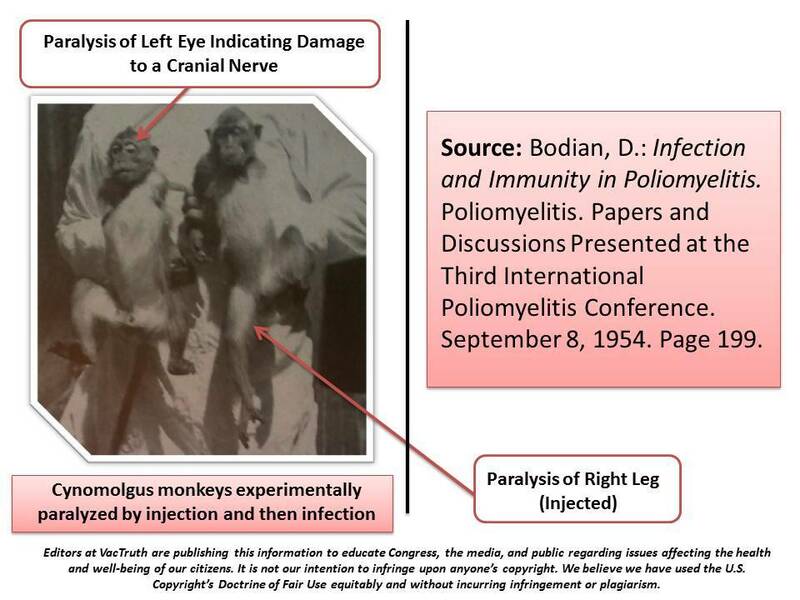 Despite almost 90 years of widespread use of aluminum adjuvants, medical science’s understanding about their mechanisms of action is still remarkably poor. There is also a concerning scarcity of data on toxicology and pharmacokinetics of these compounds. In spite of this, the notion that aluminum in vaccines is safe appears to be widely accepted. Experimental research, however, clearly shows that aluminum adjuvants have a potential to induce serious immunological disorders in humans. In particular, aluminum in adjuvant form carries a risk for autoimmunity, long-term brain inflammation and associated neurological complications and may thus have profound and widespread adverse health consequences. In our opinion, the possibility that vaccine benefits may have been overrated and the risk of potential adverse effects underestimated, has not been rigorously evaluated in the medical and scientific community. We hope that the present paper will provide a framework for a much needed and long overdue assessment of this highly contentious medical issue. A study published in the Journal Cell Biology and Toxicology by Kinki University in Osaka, Japan determined that in combination with the brain pathology observed in patients diagnosed with autism, the present study helps to support the possible biological plausibility for how low-dose exposure to mercury from thimerosal-containing vaccines may be associated with autism. Study – Induction of metallothionein in mouse cerebellum and cerebrum with low-dose thimerosal injection. Minami T, Miyata E, Sakamoto Y, Yamazaki H, Ichida S.
Thimerosal, an ethyl mercury compound, is used worldwide as a vaccine preservative. We previously observed that the mercury concentration in mouse brains did not increase with the clinical dose of thimerosal injection, but the concentration increased in the brain after the injection of thimerosal with lipopolysaccharide, even if a low dose of thimerosal was administered. Thimerosal may penetrate the brain, but is undetectable when a clinical dose of thimerosal is injected; therefore, the induction of metallothionein (MT) messenger RNA (mRNA) and protein was observed in the cerebellum and cerebrum of mice after thimerosal injection, as MT is an inducible protein. MT-1 mRNA was expressed at 6 and 9 h in both the cerebrum and cerebellum, but MT-1 mRNA expression in the cerebellum was three times higher than that in the cerebrum after the injection of 12 microg/kg thimerosal. MT-2 mRNA was not expressed until 24 h in both organs. MT-3 mRNA was expressed in the cerebellum from 6 to 15 h after the injection, but not in the cerebrum until 24 h. MT-1 and MT-3 mRNAs were expressed in the cerebellum in a dose-dependent manner. 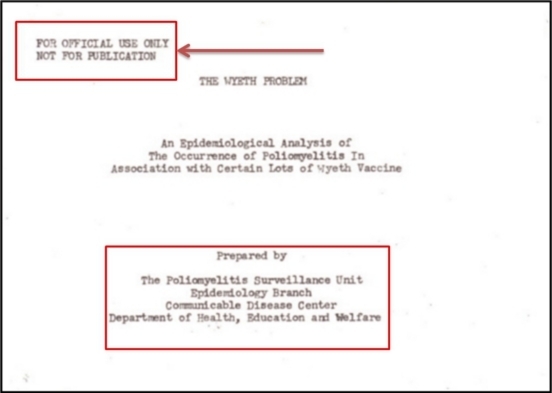 Furthermore, MT-1 protein was detected from 6 to 72 h in the cerebellum after 12 microg/kg of thimerosal was injected and peaked at 10 h. MT-2 was detected in the cerebellum only at 10 h. In the cerebrum, little MT-1 protein was detected at 10 and 24 h, and there were no peaks of MT-2 protein in the cerebrum. In conclusion, MT-1 and MT-3 mRNAs but not MT-2 mRNA are easily expressed in the cerebellum rather than in the cerebrum by the injection of low-dose thimerosal. It is thought that the cerebellum is a sensitive organ against thimerosal. As a result of the present findings, in combination with the brain pathology observed in patients diagnosed with autism, the present study helps to support the possible biological plausibility for how low-dose exposure to mercury from thimerosal-containing vaccines may be associated with autism. A study published in the Journal Neurochemical Research determined that since excessive accumulation of extracellular glutamate is linked with excitotoxicity, data implies that neonatal exposure to thimerosal-containing vaccines might induce excitotoxic brain injuries, leading to neurodevelopmental disorders. Thimerosal, a mercury-containing vaccine preservative, is a suspected factor in the etiology of neurodevelopmental disorders. We previously showed that its administration to infant rats causes behavioral, neurochemical and neuropathological abnormalities similar to those present in autism. Here we examined, using microdialysis, the effect of thimerosal on extracellular levels of neuroactive amino acids in the rat prefrontal cortex (PFC). Thimerosal administration (4 injections, i.m., 240 μg Hg/kg on postnatal days 7, 9, 11, 15) induced lasting changes in amino acid overflow: an increase of glutamate and aspartate accompanied by a decrease of glycine and alanine; measured 10–14 weeks after the injections. Four injections of thimerosal at a dose of 12.5 μg Hg/kg did not alter glutamate and aspartate concentrations at microdialysis time (but based on thimerosal pharmacokinetics, could have been effective soon after its injection). Application of thimerosal to the PFC in perfusion fluid evoked a rapid increase of glutamate overflow. Coadministration of the neurosteroid, dehydroepiandrosterone sulfate (DHEAS; 80 mg/kg; i.p.) prevented the thimerosal effect on glutamate and aspartate; the steroid alone had no influence on these amino acids. Coapplication of DHEAS with thimerosal in perfusion fluid also blocked the acute action of thimerosal on glutamate. In contrast, DHEAS alone reduced overflow of glycine and alanine, somewhat potentiating the thimerosal effect on these amino acids. Since excessive accumulation of extracellular glutamate is linked with excitotoxicity, our data imply that neonatal exposure to thimerosal-containing vaccines might induce excitotoxic brain injuries, leading to neurodevelopmental disorders. DHEAS may partially protect against mercurials-induced neurotoxicity. A mother shares her observations of her son’s reactions to the vaccines given to him. A spacecraft having a triangular hull with vertical electrostatic line charges on each corner that produce a horizontal electric field parallel to the sides of the hull. This field, interacting with a plane wave emitted by antennas on the side of the hull, generates a force per volume combining both lift and propulsion.